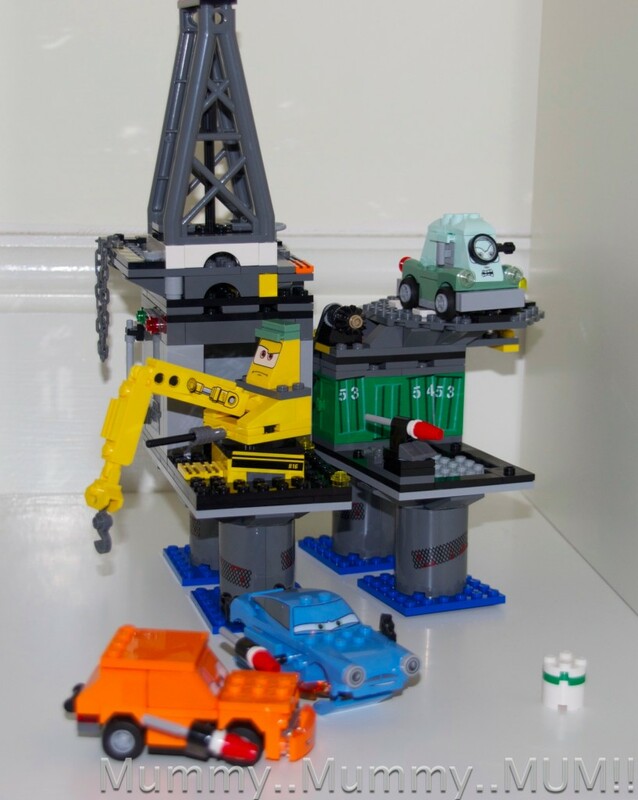 Z’s two most favourite things are ‘Cars’ and LEGO, so you can imagine his excitement when the LEGO Cars Oil Rig Escape set arrived last Tuesday. I was a mean Mummy and told him he had to be good all week at school if he wanted to build it on the weekend, so he spent most of last week stroking the box longingly and showing it to anyone who walked in the door. 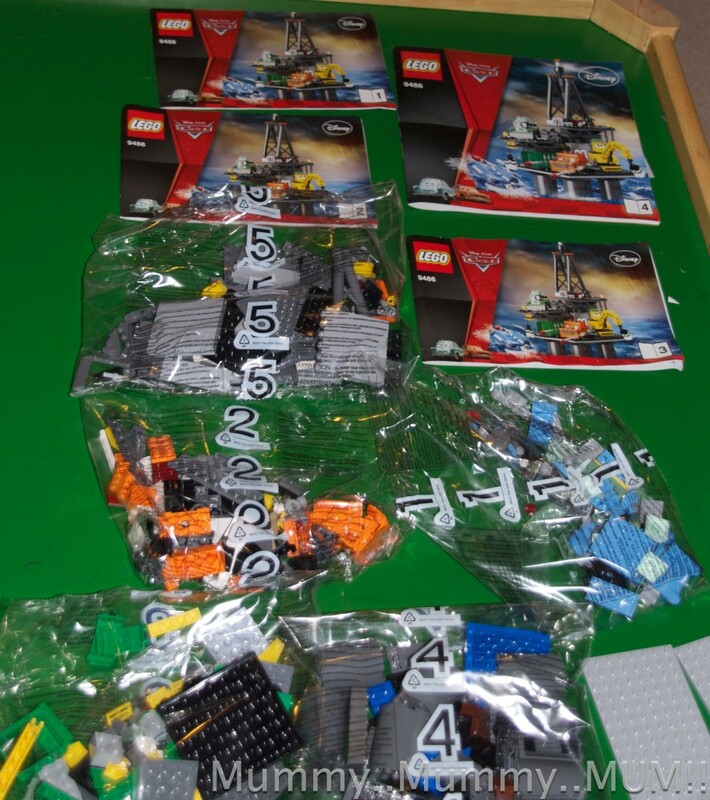 The set comes with 5 bags of bricks and separate instruction books. This way of separating the bricks is great for Z as the part he finds the hardest is locating the bricks he needs, so having them segregated makes it much easier for him. It also makes it easy to stop and start the building process. This short video shows Z building the set. It took him a couple of hours in total, and he only needed a small amount of help. Z loves the actual building of LEGO sets, but he seems to enjoy playing with the set after it is built even more. Several times over the weekend I found him playing with the cars, making them talk to each other and fly around the platform. LEGO has been great for encouraging Z to play imaginatively by himself, and with his friends. Z only made the jump to the small LEGO bricks this time last year (he is 5 next month), but we have been amazed at how fast he has learnt to follow the instructions by himself. I have also noticed a huge improvement in Z’s fine motor skills and patience in the last few months which I’m sure all his LEGO building has helped with. The recommended age for this set is 6-12, but if you have a keen LEGO builder like Z, 4 or 5 should be fine, especially if they have a bit of help. The set is £49.99 which seems quite expensive, but if you consider that you are getting Finn McMissile, Professor Z, Grem, a squeezed version of Leland Turbo and the working Crane, I don’t think it is too bad. The oil rig is modular, so you can change it around to your own design. The platform opens up and you can move the parts on top around. Z quite liked this feature as he does like to play around himself with sets once they are built. Z and his little sister also found the barrel shooting function a lot of fun, and spent quite a long time trying to get the barrel to hit the cars. 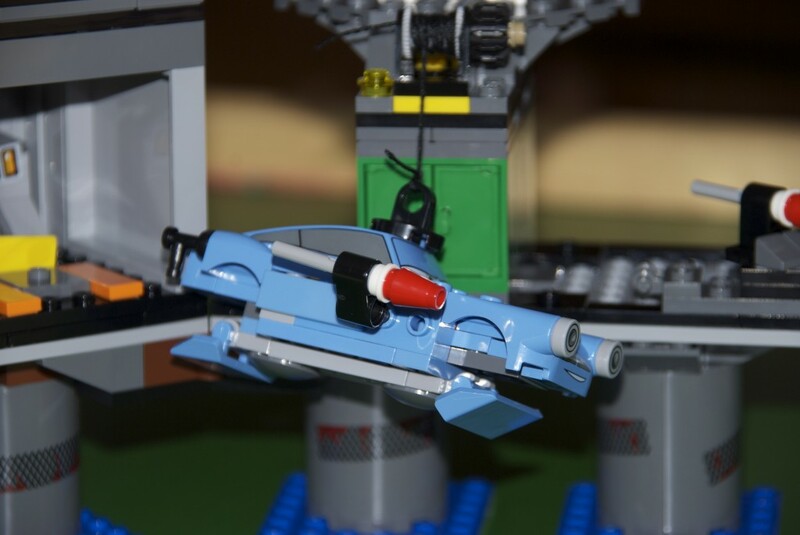 You can see on the picture above that the container opens for Leland Turbo, and the photo below shows the flick missiles on Finn McMissile. The attention to detail in this set is brilliant. I would most definitely recommend it for little ( and big ) Cars fans. 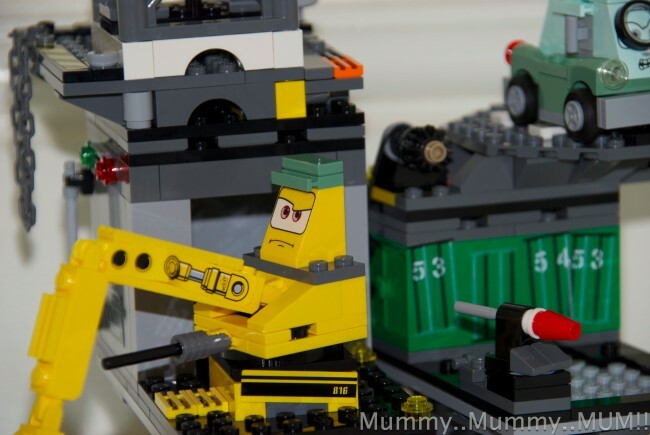 We received the LEGO Cars set free of charge to review, all words and opinions are my own. You are such a mean Mummy! Z is so clever…there is no way that would be built in our house, everyone but me would give up within 10 minutes! ha ha, I was a meanie. 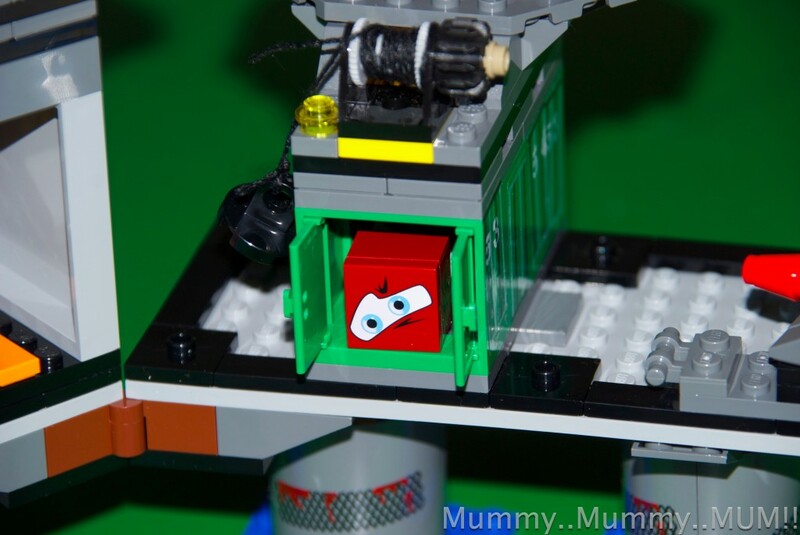 It was such a great set of LEGO though, I wanted it to be a reward for something. I was lucky and he got a special certificate from school on the friday!